Working with Amy Risley Design, we created a pixel-perfect representation of the provided designs, adding advanced scrolling animations including "floating" leaves on the homepage that move in parallax fashion as you scroll up and down. 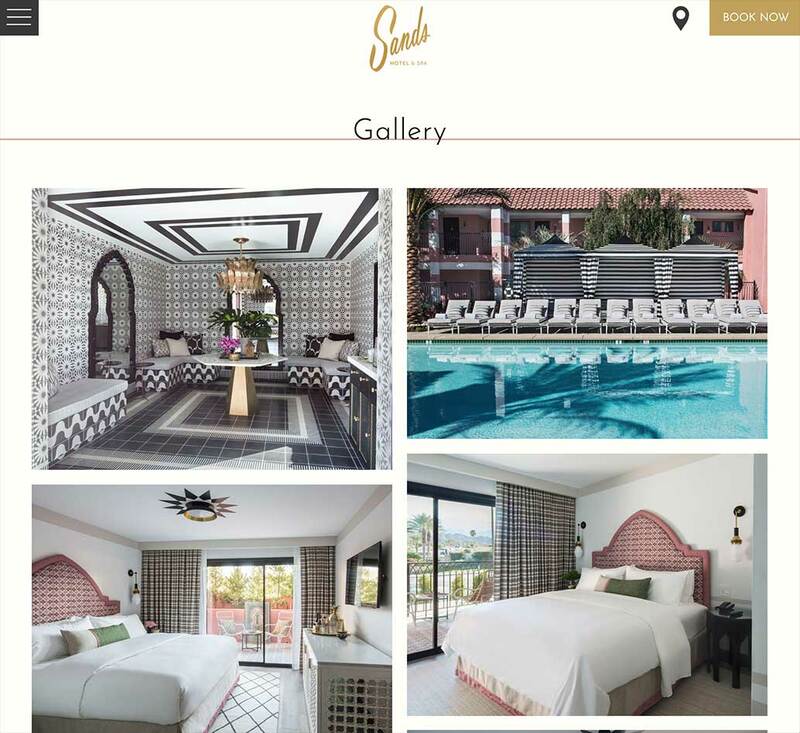 Additional features of the website include multiple slideshows of the hotel rooms, expanding/collapsing text on the SPA page, a staggered grid layout ("masonry") for the gallery and more. 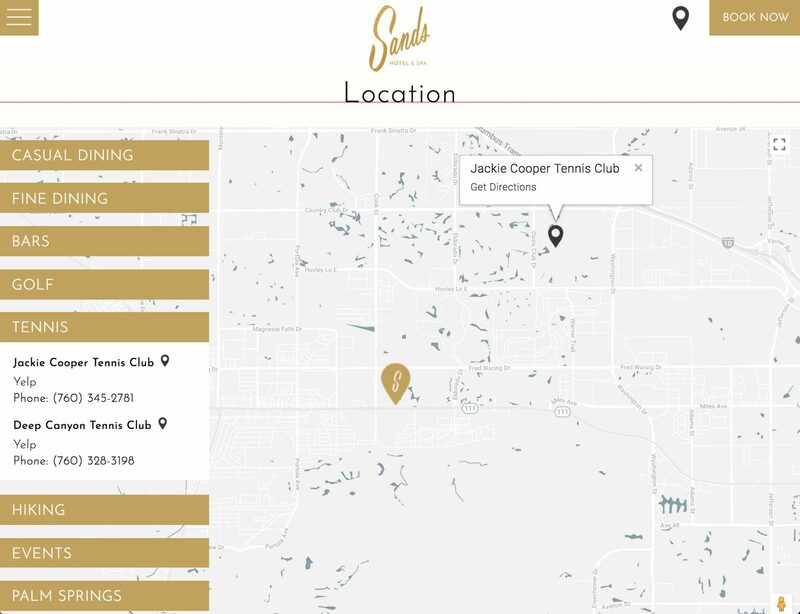 The LOCATION page deserves special mentioning as we not only customized the look and feel of an embedded google map but crafted a custom interface for users to interact with the map, specifically, locating points of interest near the hotel. 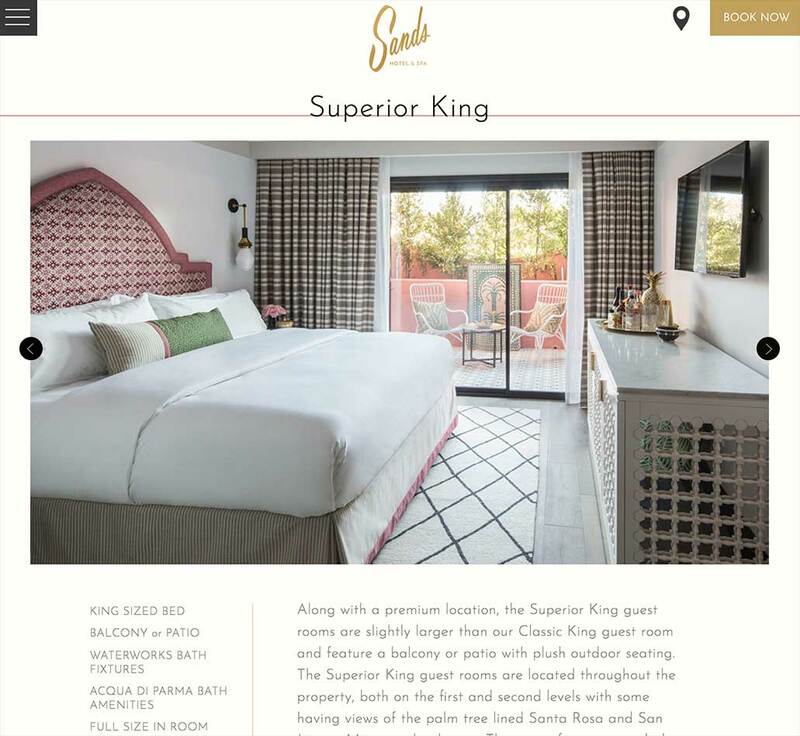 Finally, we customized the booking engine to keep the entire user experience on brand and in style.